Jewelry has fascinated mankind since ages and in today’s world it’s one of the ways to look unique! 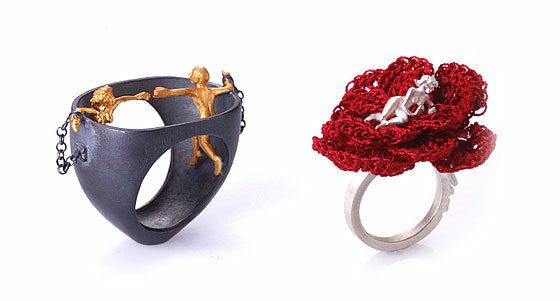 Ordinary jewelry designs can’t surprise us anymore. 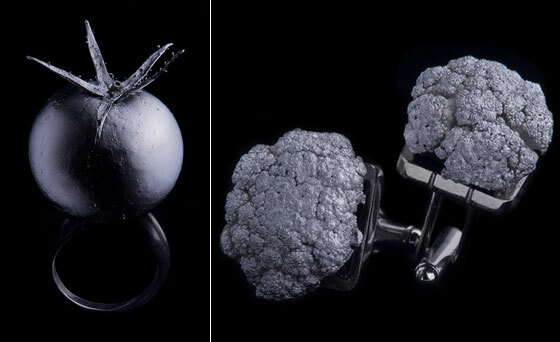 More and more creative thoughts are put into jewelry design – styel, material and even the story behind the design, to pursue the uniqueness. 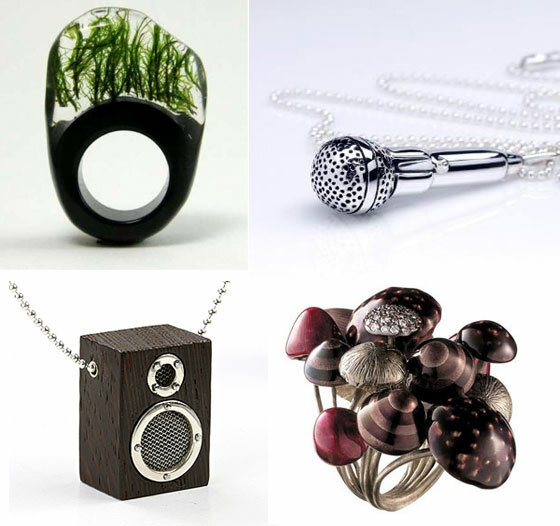 In this post, we rounded up several unusual designs we’ve ever seen, coming with various styles and material. 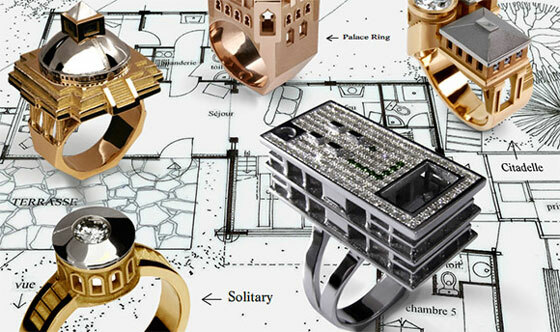 Check out and see how the jewelry designing has evolved! 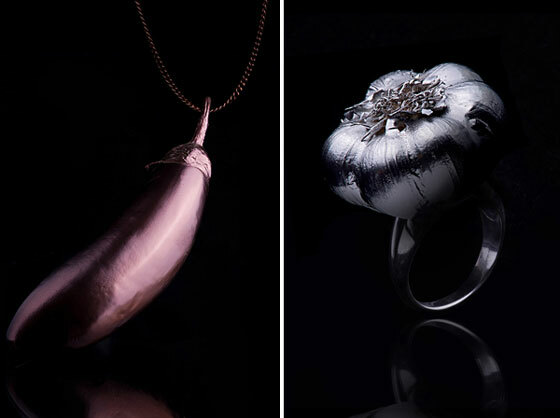 This project called “Vegetable Jewelry – the preciousness of nature” was created by Ventzislav Iliev, photographer from Sofia, Bulgaria. 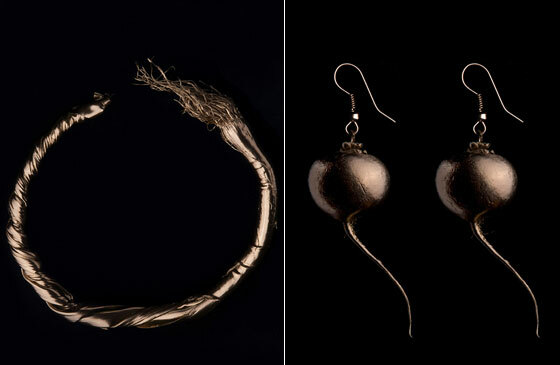 “The idea for the project comes from a student work and is to express one way vegetables can fit in a fashion magazine, by making them look like jewelry. 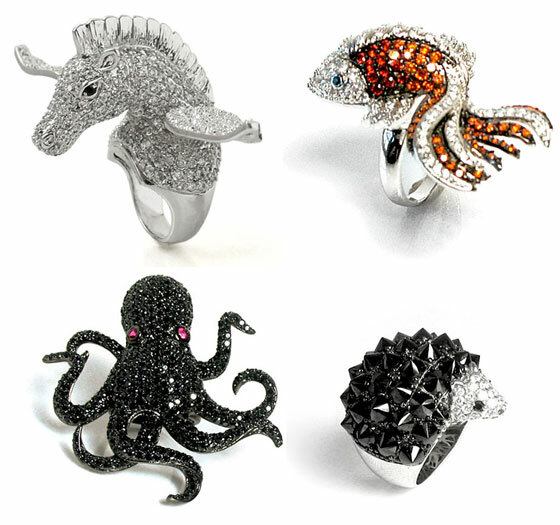 The impressive creatures that form the scenario of the Alice in Wonderland film were artistically sculptured in gold and diamonds in an extraordinary collection developed by H.Stern in partnership with Disney. Strange roses, colorful mushrooms, bird from beautiful garden, the Cheshire Cat, Jabberwocky and other wonders of the world through the mirror served as the inspiration. 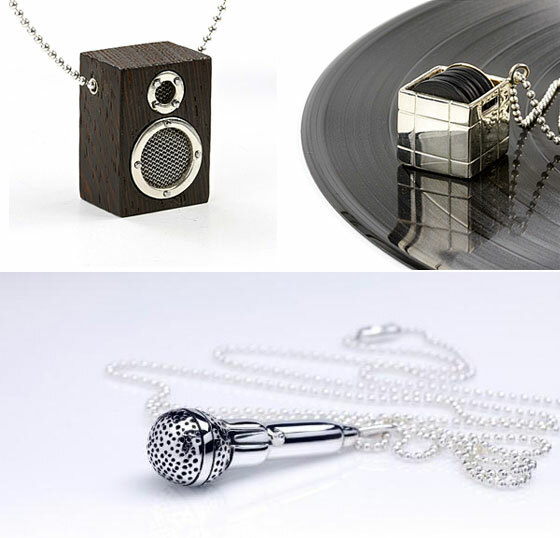 Luxury jewelry created by Darkcloud Silver is inspired by music, hip hop and urban culture. 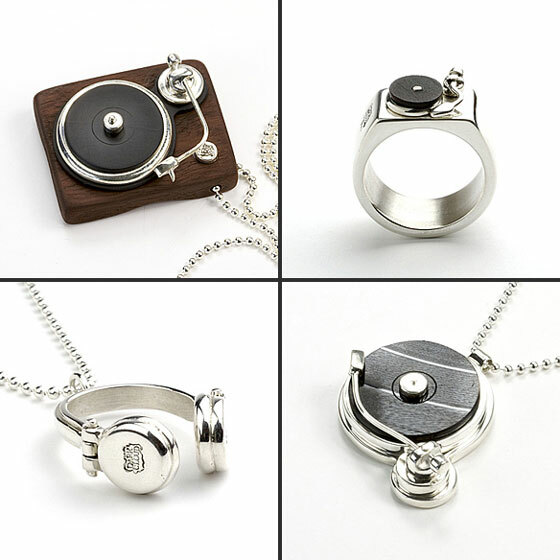 This handmade collection consist of rings and pedants in the form of urban music symbols, even including spray can. 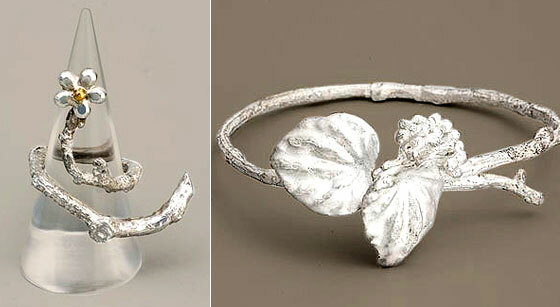 Due to the fact that all jewelry is created from silver, gold and platinum. According to its designers Chao and Eero, people use different signs to communicate their moods. So why not use those popular signs in our fashion world? 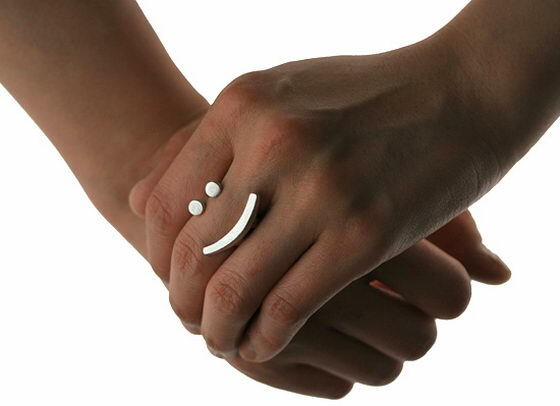 Smiling face and eyes, exclamation and question marks, comma and quotation, Show your mood with this creative jewelry! 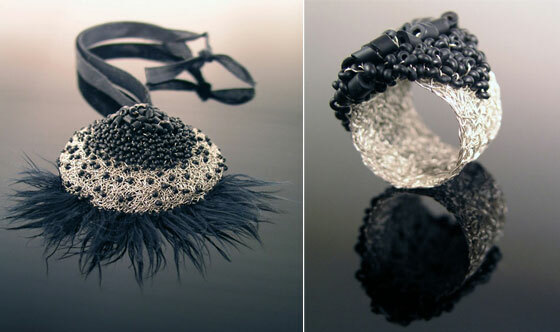 The collection of handmade body embellishment by NIIRO presented in this post is beautiful and marked by the innovation of irregularly, decorative knitting, dazzling, richness and uniqueness of the material used. 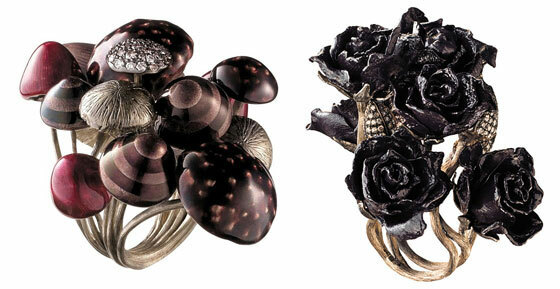 Beautiful and luxurious rings from nOir Jewelry. 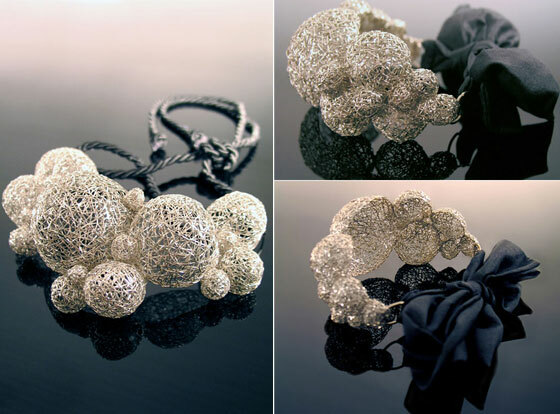 Go beyond the predictable with NOIR fashion jewelry that takes edgy street influences and redefines them for a fresh approach to glamor. Bjorg is 34 years old girl designer from Norway. As noticed on her biography she was never fascinated by classical jewellery, there has to be a soul. And according to these thoughts she created fabulous jewerly collection consisted of necklace, rings, earrings, bracelets and pendants. 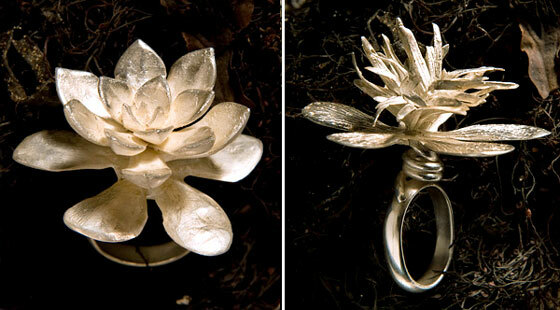 Everything is made from precious and natural materials. Aaron has embodied the old dream of romantics. 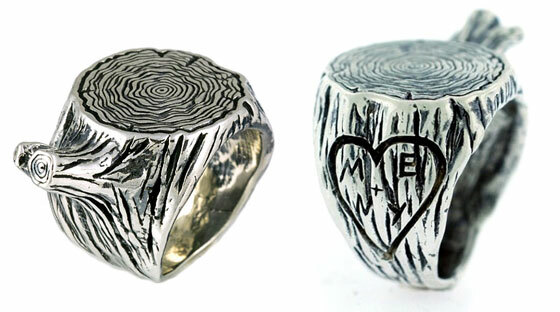 Ring and necklaces look like the part of a tree with two sets of initials engraved inside the heart. 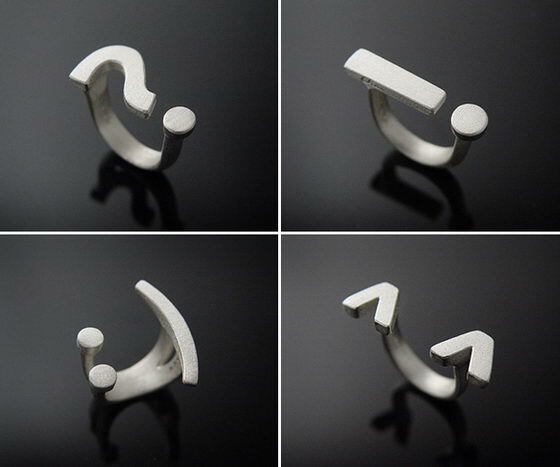 This collection is from sterling silver and there is a possibility to create customized version of each jewelry with desired initials. Beautiful ring and earring made of high quality clear and black resin. Moss is embedded in it.